Dr. R. Nandagopal, was the Director of PSG Institute of Management Director 2000 onwards. He joined PSG in 1994. 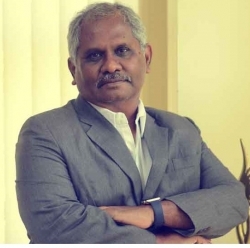 He has over three decades of academic experience serving in various capacities at leading institutions like Institute of Public Enterprise, Hyderabad and Loyola College, Madras. He has organized a number of Executive Development Programs for senior and middle level Managers and done consultancy work in the area of Financial Management and restructuring of organizations. He is the founder member of ABBS and has held leadership positions in National and Regional organizations that include AIMA, AIMS, CII, ICC, CMA and Productivity Council. He is presently on the board of Commissioners at ACBSP. He has been awarded the Honorary Citizen of Toledo, Ohio, USA for his contribution to the Indo American Education Initiative. He received his Ph.D. in Finance in 1985 from the University of Madras and published 75 articles in national and International Journals and authored 17 books in Management. He has M.Com and M.Phil from University of Madras, MBA from Madurai Kamaraj Universty and did Advanced Management Programme from Department of Management Science University of Leeds, United Kingdom.